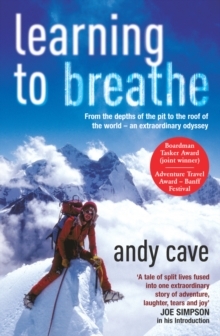 In 1997, Andy Cave returned from the Himalayas, having climbed the stupendous north face of Changabang but losing his friend and climbing partner in the process. Traumatized by the savage ordeal, he must examine his relationship with the mountains that have defined his life so far. Will he have the courage to undertake such a challenge again? Does he want to? Thin White Line charts his struggle towards finding an answer. It is as much a journey into the mind of an extreme mountaineer as it is into the wild landscapes through which he travels. In a nail biting narrative set in Patagonia, Norway and Alaska, Cave tackles the severest challenges modern Alpinism can pose. Juxtaposed with the stark beauty of the environment are the colourful characters populating his stories, from the adventurers around him, past and present, to the pioneer aviators who get him and his kind to those impossibly remote places. 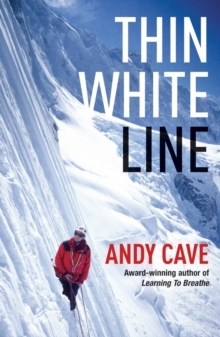 He vividly recreates the joy and despair of climbing, building the book to a desperate finale that lays bare the fragility of our carefully constructed convictions.